When it comes to organising international youth basketball events, the Netherlands are becoming regular hosts. Already in 2012 they hosted the FIBA U17 World Championship for Women in Amsterdam. The town of Utrecht was this time chosen for hosting the 2013 European Youth Olympic Festival (EYOF) in which basketball was one of the events. 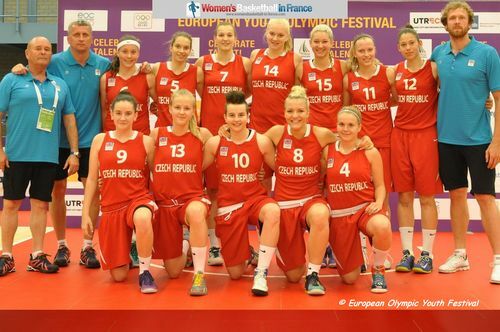 The top eight teams from the 2012 U16 European Championship for Women Division A qualified for the competition. Spain, the European Champions, were the only team from the top not present and were replaced by the hosts, the Netherlands. For all the trainers, this competition gave them a chance to prepare for the 2013 European Championship with five games in five days. Camille Lenglet, Alexia Chartereau, Francesca Dorby, Margot Bienvenu, Chloé Mantelin, Alix Duchet, Lisa Berkani, Ornella Bankole, Ana Tadic, Manon Boehrer, Alexandrine Obouh Fegue, Aïda Sow. The participating teams were divided into two groups of four teams with the top two teams from each group qualifying for the semi-final. France were drawn in Group A with Hungary, Italy and Belgium. They beat Belgium (60-44), lost to Hungary (62-82) and beat Italy (63-50) to qualify for the semi-final. In the semi-final, France scored the last 12 points in regulation time to force overtime (60-60) against Russia. 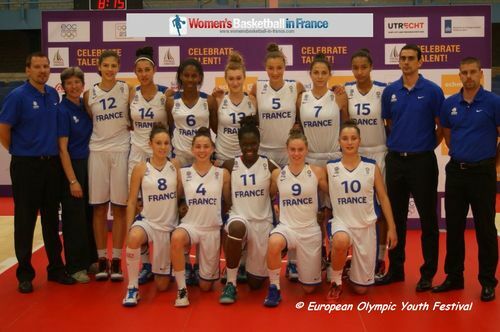 France went on to beat Russia (73-70) and herewith qualified for the final. However in the final the Czech Republic behind the excellent long distance shooting of Tereza Sipova, Michaela Matuskova and their captain Karolina Maleckova beat France (67-61). Hungary beat Russia (80-61) in the bronze medal match.